A ceremony was held in Ege (Aegean) University in Izmir (Turkey) to commemorate famous Iranian poets and top literary figures including Hakim Abolqasem Ferdowsi, Omar Khayyam and Saˈdi. The ceremony was attended by a large number of Persian literature enthusiasts and Iranian students studying in Turkey, Iran Daily to be published on Sunday said. Mohsen Mortezaeifar, the Iranian consul general, in Istanbul also attended the ceremony. The event was organized by Iranian Consulate in Istanbul. Speaking at the ceremony, Mortezaeifar said that historical relations between Iran and Turkey have expanded and their political contacts emanates from the depth of ancient Persian literature. 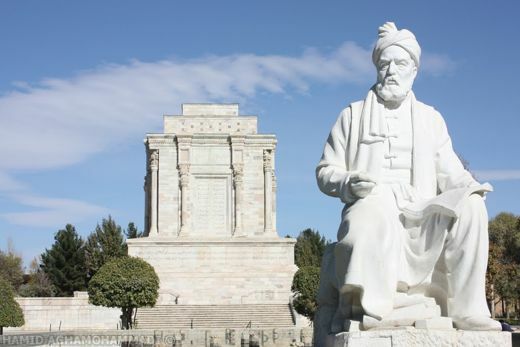 As proved by historic documents, Persian literature comprises of a portion of Turkeyˈs history and culture and since ages the Turkish people think of Persian language as their cultural language, he noted. Iranian consul general underlined the important role and high status of great classic Persian poets in promoting, improving and expanding Persian language.